Chiang Mai in Northern Thailand is engulfed by impressive mountains that are home to colourful hill tribes and historic temples. 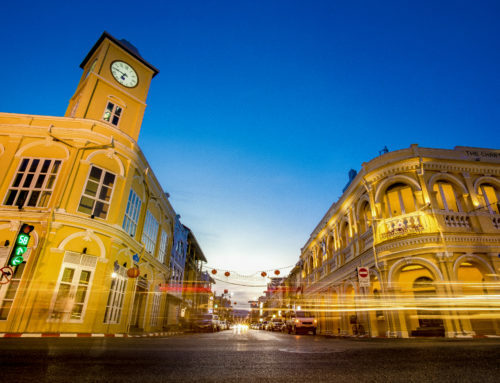 A city increasingly popular with seasoned travellers seeking out a more in-depth look at the country’s culture and traditions. The former capital of the Lanna Kingdom, it has a thriving community of artists and creators with many galleries themed to different mediums, found throughout. Here is a paradise for shoppers with its exceptional markets and artisan boutique stores, loads of restaurants and street food vendors, stylish coffee houses and array of activities to appease the adventure seekers. 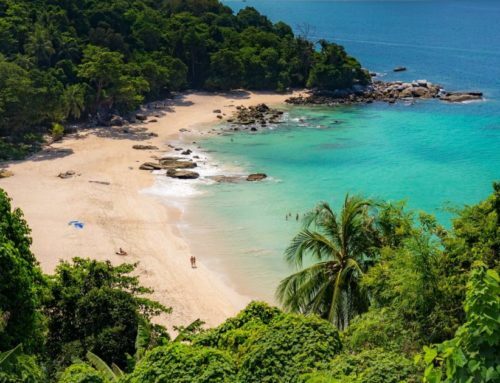 Beyond the walls and activities though, it is also the perfect spot from which to explore the surrounds, with many easy day trips offering further insight into Northern Thailand. 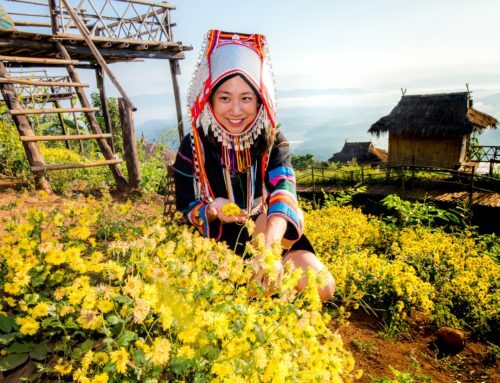 The Doi Pui Hmong Tribal Village is located on Doi Suthep Mountain about 4 kilometres away from the impressive Wat Phrathat Doi Suthep, and is home to the Hmong hill tribe, one of six major hill tribes found in Thailand. 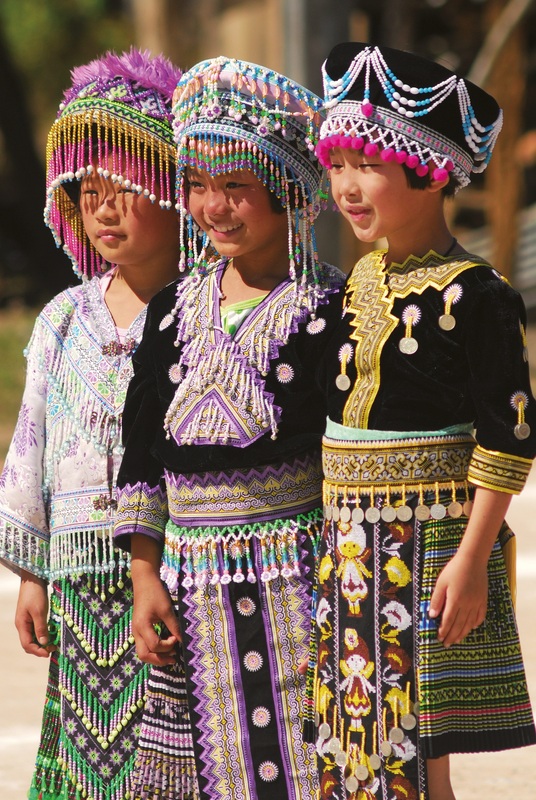 The villagers here wear Hmong clothing, sell Hmong handicrafts, and live in traditional Hmong-style homes. 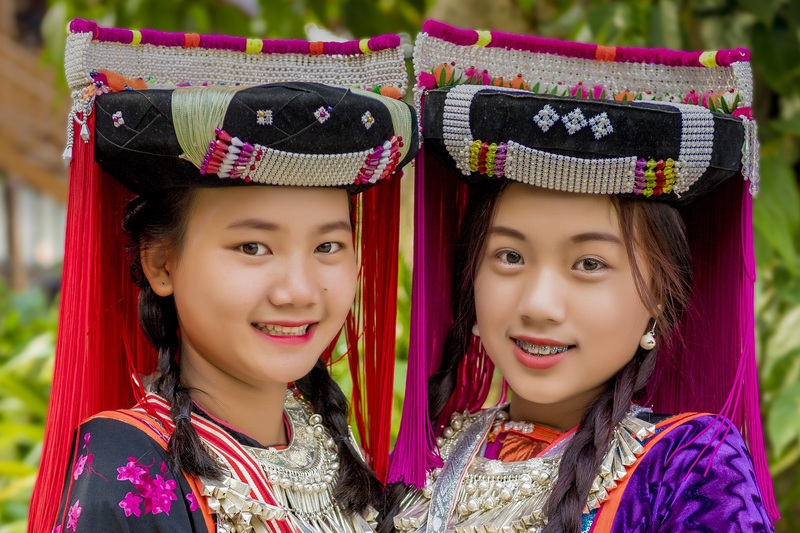 In the heart of the village is a small house that has been set up as a museum to display early hill tribe clothing, plantation tools, kitchen and opium producing equipment. Further up the hill is an attractive well cared for garden with abundant flowers and trees, including the opium poppy which was once a mainstay of the economy of the hilltribe people. Over the years the Hmong Doi Pui Village has grown steadily and there are currently about 200 households here, with a population of over 1300 people. The main income of the villagers is tourism, and the village is committed to educating visitors on Hmong culture and customs in a bid to keep their traditions and culture alive – without being exploited by tourists. Among the more popular handcrafts on sale here are the beautiful textiles, clothing, hats, handbags, woven belts and jewellery. Also look out for silver and gemstones, as well as locally grown seasonal fruit, winter flowers and the famous oolong tea. There is also a restaurant and coffee shop where visitors can enjoy the view of Doi Pui, while sipping locally grown Arabica coffee. 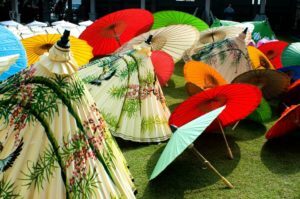 A village in the San Kamphaeng district on the outskirts of Chiang Mai, Bo Sang is best known for its brightly coloured handmade umbrellas and parasols with a festival held there each year. Parasols covering the entrance to the city indicate that hand-crafted parasols are a deep part of this town’s identity. While not an ancient tradition, Bo Sang’s history of umbrella craftsmanship dates back over a hundred years and the paper is processed from mulberry bark. Legend has it that a wandering Thai monk brought the process back from Burma to Bo Sang, his hometown, teaching the locals the craft as something they could do once their field work was done. 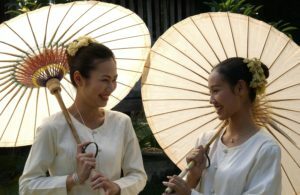 You’ll come across silk, silverware and gem factories at the Bo Sang Handicraft Centre where the artisans make the world famous Sa Paper umbrellas and parasols here. You can watch the whole process as they hand make the paper lamps, fans, umbrellas and parasols, including the bamboo struts, covering them with paper, putting them out to dry and then hand painting the floral patterns. 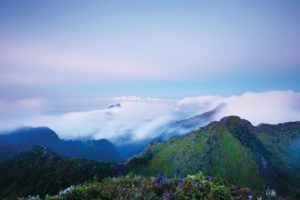 About 80km north of Chiang Mai and home to Doi Luang Chiang Dao, Thailand’s 3rd highest mountain, Chiang Dao remains mostly untouched and will appeal to travellers looking for a more off the beaten track adventure and a local Thai experience. A haven for birdwatching, it is home to over 300 species of tropical birds, including the Giant Nuthatch and Hume’s Pheasant. One of the main attractions is the Chiang Dao cave, a 12 km chamber filled with impressive stalactites. The name means ‘City of Stars’ and refers to the limestone peaks that reach to a height of 2186m. The village itself is a quiet and picturesque, with a quaint northern Thailand feel and is located within the National park. 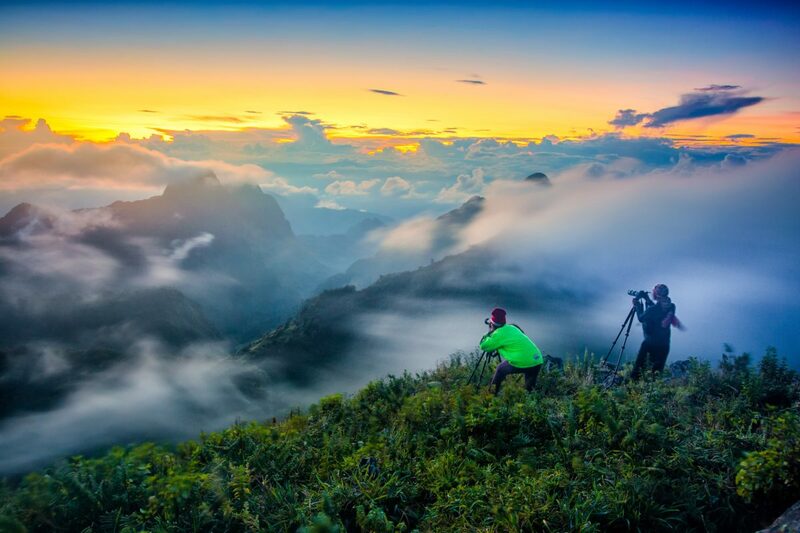 When visiting, make sure you trek to the top of Doi Chiang Dao. 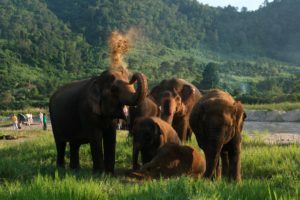 Located 60 kilometres from Chiang Mai city, the Elephant Nature Park is a rescue and rehabilitation centre that aims to provide a home for dozens of distressed elephants from all over Thailand. 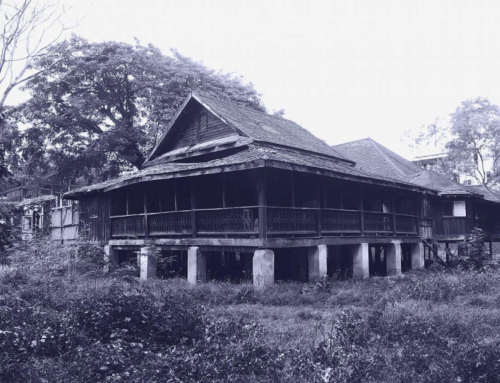 It was established by Sangduen ‘Lek’ Chailert who was born in the remote mountain community of Baan Lao in 1962. An elephant lover, she decided to do something about the plight of elephants she’d come across in the logging and tourism industry. 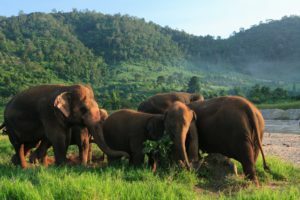 Lek opened the 250-acre Elephant Nature Park as a sanctuary where these previously abused and distressed elephants could roam freely. The nature park’s mission remains to protect these gentle giants and sustain a natural haven for the endangered species. The park’s herd includes disabled, orphaned and blind elephants of all ages, many of which have been rescued from the training involved in the elephant riding, tourism and street begging industries. Visit for a day, or consider volunteering here to help fund the work that they do. Since formation they have been involved in dozens of rescues. The park provides a natural environment for these elephants and also has dogs, cats, buffaloes and other animals under their care. 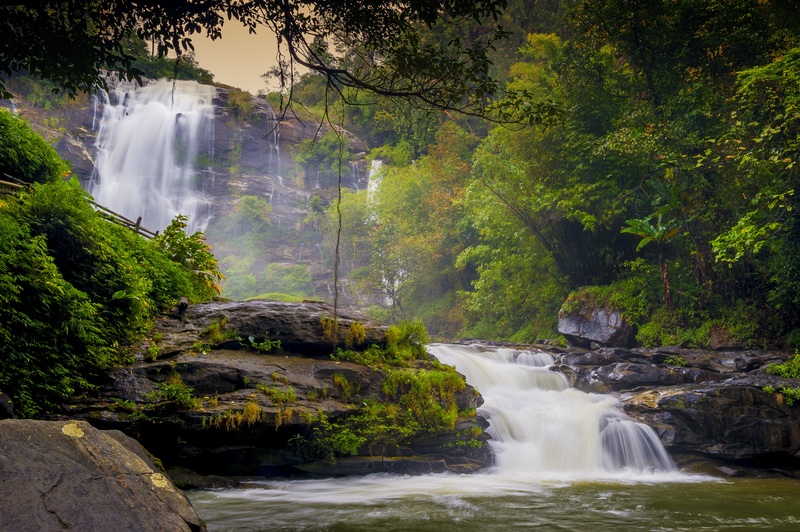 Doi Inthanon is one of the most popular national parks in Thailand, famous for its hiking trails, waterfalls, remote villages and viewpoints, as well as cool climate given the altitude. Known as ‘The Roof of Thailand, Doi Inthanon covers an area of almost five hundred km². As part of the Himalayan mountain range the elevation is between 800 and 2565 meters and includes the highest peak at Doi Inthanon, which is also the highest mountain in Thailand. 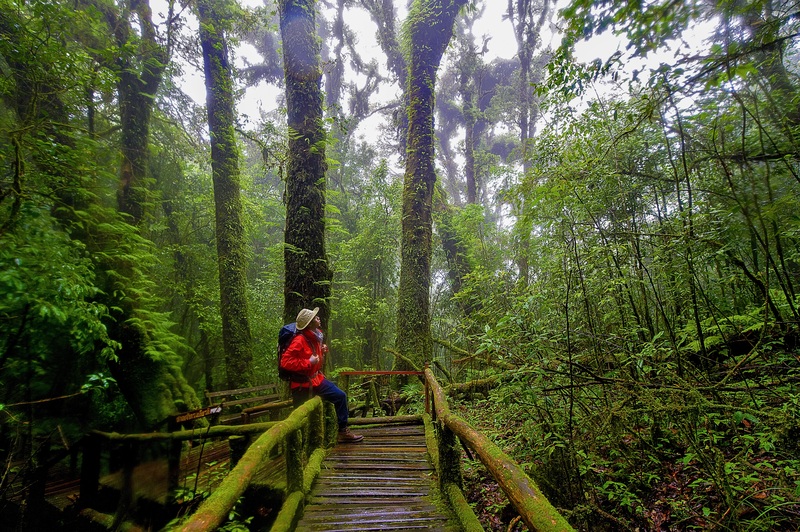 The vegetation is predominantly evergreen cloud forests, sphagnum bog on the elevations, pine and mixed deciduous teak. Established in 1972, it was named in honour of the King Inthawichayanon, one of the last kings of Chiang Mai, who was concerned about the forests in the north of Thailand and wanted to preserve them. After his death his remains was placed in the park as he had ordered and the forest was renamed to Doi Inthanon. 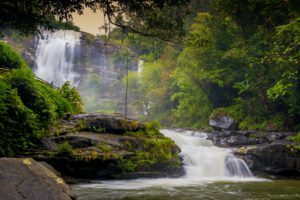 The park is approximately 60 kilometres from Chiang Mai and is one of the few in the country that is easily accessible by public transportation. Once in the park the distances between the attractions are great, and you may want to focus on a specific area or keep your organised transport to take you from one attraction to the next. How to get around: Most of these day trips can be done by hiring a songthaew and driver or by renting a motorbike. 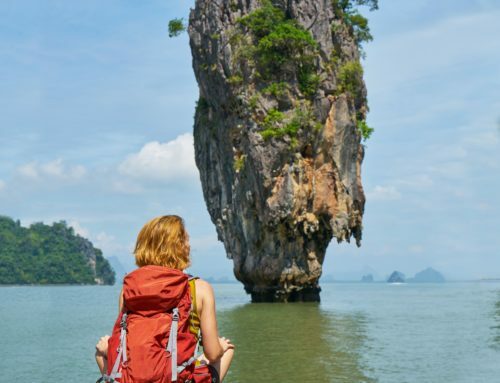 There are also many travel companies offering scheduled and private trips, should you prefer to simply sit back and enjoy, without having to worry about planning the logistics.